When RSA Protea SimSports was conceptualised, it was crucial to determine what values needed to be ingrained into the team from the get-go. RSA Protea SimSports thus stand for determination, a never-say-die attitude, and temperament. We wanted our team to be as inclusive as it can be while making use of the vast talent we have available at SimRaceSA. Knowing that our international races will be done in rFactor 2 we also recognised that a lot of the newer guys on the scene may not necessarily have this sim in their library. This presented us with a tricky conundrum. Do we actively encourage everyone in the community to get this sim and have them try out for the team in due course, or do we grow the participation in this sim in our community organically and try and identify the best candidates for the team and encourage them to get it? The end result turned out to be a mixture of both. As you would have noticed (if you haven’t been living under a rock the last few months) the fun races set up in rFactor 2 was done in a way to expose drivers to varied tracks with tricky corners, front wheel drive cars and absolute rear wheel drive, tyre chomping monsters. While this was actively going on six of our existing drivers at SimRaceSA (all who’ve had varying degrees of success over the last two years or so) have been plugging away in the VLMS trying to get to grips with the rules, strategies, cars and level of competition. Suffice to say that the competition is stiff, the mechanics are unforgiving and the rules leave no room for interpretation or bending. We found that out the hard way a few times as drive-through penalties for the following races are handed out like sweets from a dodgy dude on an equally dodgy street corner. 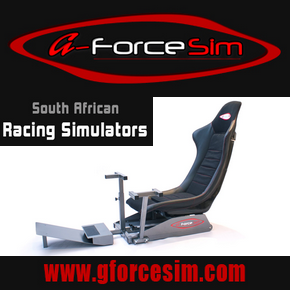 Drivers from all around the world congregate at SRC (Simracing.Club) in an effort to prove their mettle. It makes for a terrifying field of high class competitors. And it is easy to become overwhelmed by the sheer spectacle of it all. Simracing.Club recently identified that a lot of teams made a mockery of the integrity of the racing system by drafting drivers into their teams that had very little race craft ingrained in them. You ended up with drivers in the most prestigious endurance championship around that should not have been anywhere near it, while other drivers with years of experience were plugging away in championships a few tiers down. The end result was predictable…especially if you know Jimmi Allison (main “konyn” at SRC). He introduced a Tiered License System. Simply joining the site grants you a Level 5 license. Enrolling in the SRC Academy race programme grants you a Level 4 license. In order to gain a level 3 license (which is what is now needed to take part in the VLMS) you need to make sure you ADD to your base license points by competing cleanly and adhering to the rules set out by SRC. Any transgressions see points docked from your license which puts you two races behind your goal of advancing – simply because transgressions docks more points than you can gain in a clean race. It’s harsh, but it essentially forces drivers to consider leaving room in corners when passed, it roots out brake checking into corners (which is a dangerous and potentially a race ending tactic in rFactor 2 for more than just the brake checker) and it promotes consideration of the effort put in by your fellow racers. Each of these drivers have been identified based on past SimGT performances, level of race craft, consistency, years of experience in simracing, etc. One major consideration in identifying these drivers were composure, BMT (Big Match Temperament) and rate at which they learn skills and adapt to change . Someone that can see a bad situation through…that can stay calm in the face of adversity. These drivers needed to be willing lambs led to slaughter in order to build a truly magnificent top tier racing team for the cream of SimRaceSA to be a part of. With the VLMS season nearing its inevitable conclusion we identified that we may end up with a few drivers short…come the next season. And with a demanding licence system it was crucial to get a few new faces in and test them against a tough calendar, deadlines, new experiences and…ultimately…themselves. It is with great excitement that we announce the signing of two more drivers to this programme. Lance will eventually pilot the Corvette C7R while Mark will cut his rF2 teeth in the Nissan Oreca LMP2 car. But their participation in the remainder of the VLMS season is by no means a done deal. Their signing came in anticipation of the 12 Hours at Le Mans endurance event on 20 May 2017. That leaves our new recruits with exactly 10 weeks to upgrade their level 4 licenses to level 3’s. That means taking part in at least two SRCA academy races and keeping it squeaky clean from a race incident perspective…even at the expense of outright pace…which can be a tough ask for two highly competitive individuals like these guys are by nature. Then they need to be formally appointed as team members with league administration. This should not be an issue, but the time left to gain a level of comfort in the cars they have been assigned to will be astonishingly short. We know it will be a tough ask, but in these drivers we have potential gems and we have no doubt they will make a success of this massive challenge ahead of them. If you feel you have what it takes to be part of this team, please get in contact with us. You can either drop a comment below or you can send Gert James a PM. You will be shortlisted and eventually you may be required to undergo some testing, but that is to ensure we get the right drivers in the correct car and to make sure that we add to the successful formula. The current VLMS will come to an end with the Le Mans event on 20 May 2017. That will signify our push for higher honors and inlcusion in the VEC. 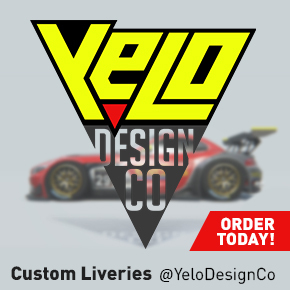 If successful there will be room for 4 additional drivers to take seats in the VLMS. And it is crucial that we get you into SRCA academy races soonest so that you can be appointed to either championship without any hiccups. If you want to show your support for the new drivers, please visit Simracing.Club on YouTube (search and ye’ shall find!) and subscribe. The Academy Races are also broadcast live and their first challenge starts on 22 March 2017. You will also be notified every time the channel goes live and with some of our guys taking part in the VEC and almost all of us participating in the VLMS there will be plenty of reason to stay tuned. Here’s to what we hope to be a successful 2017. Stay safe and race hard!